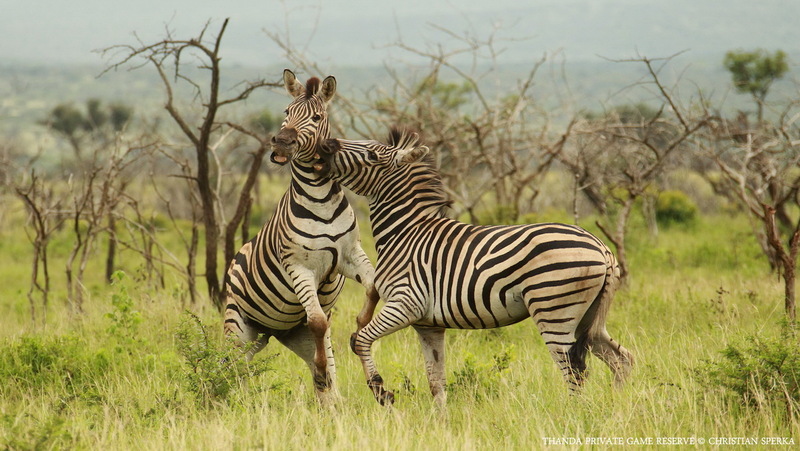 These two Burchell’s Zebras had a bit of a quarrel. The Thanda guests on my vehicle were surprised about the force and stamina these two females displayed during their fighting. A very special Thanda game drive moment. About Burchell’s zebra: Equus quagga burchellii is a southern subspecies of the plains zebra. It is named after the British explorer and naturalist William John Burchell.